GMC Sierra offers first-class hauling and towing capabilities yet offers a smooth, comfortable ride among the full-size pickups. Even compared to more recently introduced or re-engineered models from Ford, Dodge, and Nissan, the Sierra rides and handles very well. 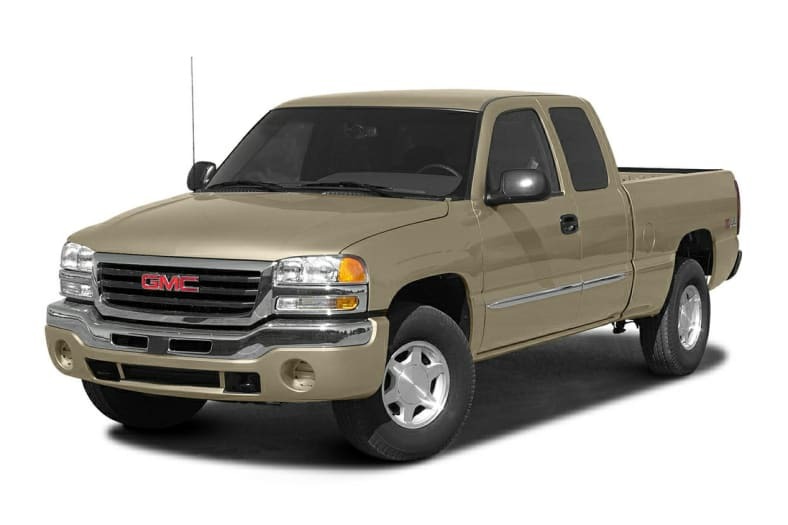 New for 2004 is a roomy and comfortable Sierra 1500 Crew Cab available with 2WD or 4WD, in SLE or SLT trim. Built with a new 5-foot, 8-inch cargo box the new 1500 Crew Cab is shorter than extended-cab trucks and is designed for easier parking and maneuverability. Crew Cab models offer a rear-seat DVD entertainment center as an option, making these pickups an attractive alternative to a full-size SUV. GMC Sierra’s current design dates from 1999, but it was significantly refined and updated last year, with a bolder, more raked front end. Its interior was revised as well, for improved function and appearance. The brakes were upgraded, and the engines tuned to run cleaner. These are great tow vehicles. The Sierra Denali, for example, is rated to tow trailers of up to 9,900 pounds. Combined with Quadrasteer, heavy-duty brakes and a relatively long wheelbase, the Sierra Denali makes for a supremely stable tow vehicle.